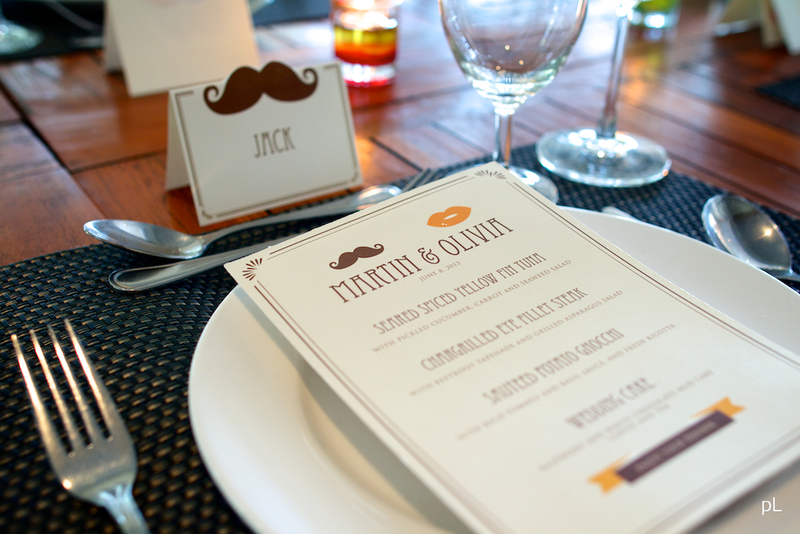 It was just a random idea of doing a table set up photography, but we had not found who would shoot it. Fortunately, our photographer friend from down below visited Jakarta, so we thought, hey you, do you want to take photos for us? He said yes, and everything was just great. We thought of this theme because it’s very cool, simple, and we thought it’s fun. Sometimes, being a wedding florist puts you in charge of floral works and creating an impressive work of arts through flowers, and easily forgetting that the event itself is about the people. Sometimes, being less is more. 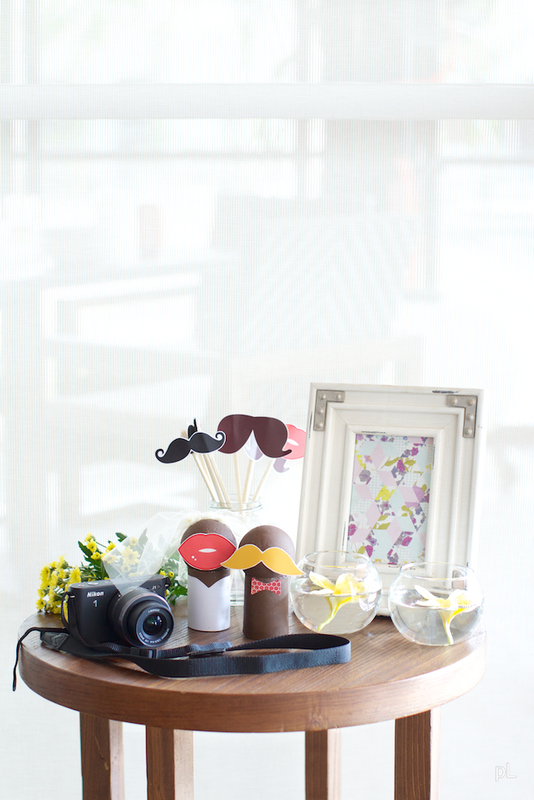 The idea of having pout and ‘stache everywhere, including a photobooth props of pouts and moustaches. It’s the kind of wedding we really want to style one day, a wedding full of informalities, unstructured, and only filled with 20 people that matter most. It’s the kind of wedding I would want to be in, where ladies and gentlemen throw jokes at one another and reminiscing the good old days of the couple. 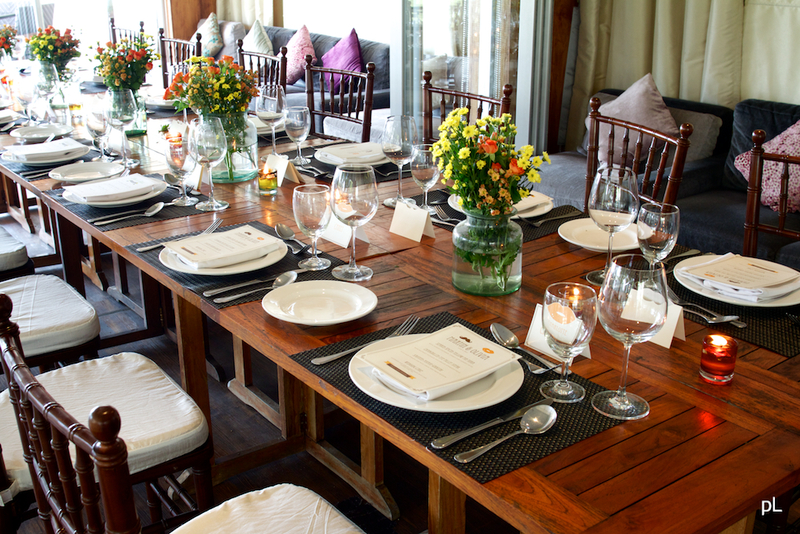 No fancy chandeliers, no heavy centerpice, just the right crowed and the right ambiance. 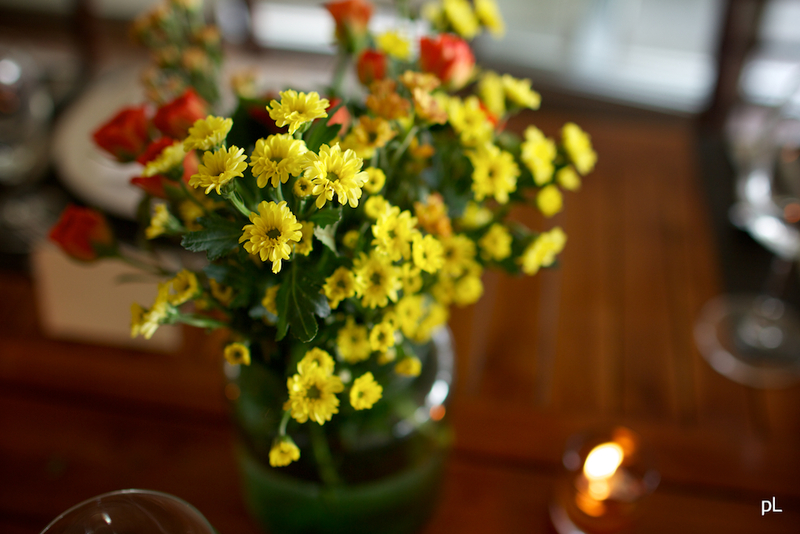 We created this warm ambiance with tea light candles, flowers that were not so overwhelming that it made the whole room looked so relaxed and natural. Stationeries were designed by a super talented Australian-based designer Wita Puspita Design . So thank you Patrice Liem from pL – photography for taking time out of your 7 days short vacation to be here and took this awesome photographs. 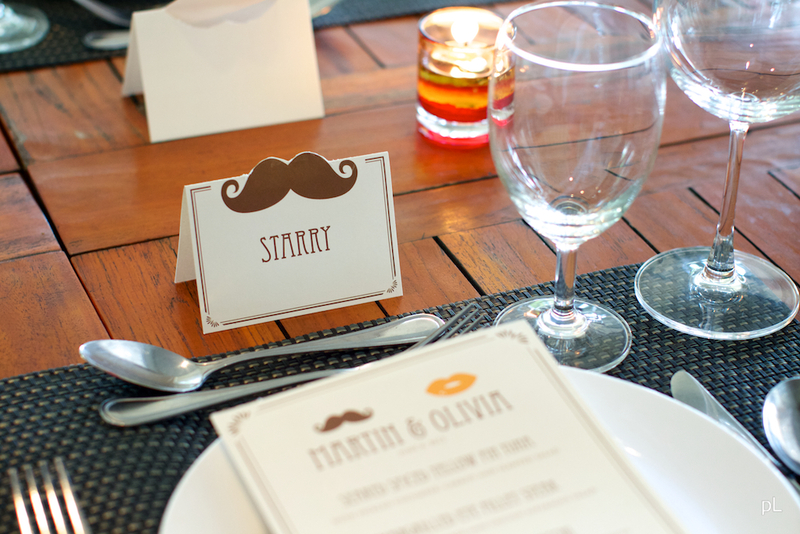 This entry was posted in Et Cetera, Hello, Table Setup and tagged fun wedding theme, pout and stache, table setup. Bookmark the permalink.